A new bill aims to help New York City’s industrial laundry owners take out their dirty laundry. The City Laundry Equity and Accountability (CLEAN) Act would authorize new standards of cleanliness for industrial laundries and for laundry delivery trucks. The bill, introduced this week by Council Members Ritchie Torres and Dan Garodnick, would help prevent contamination of linens used by hotels, hospitals, restaurants and other businesses. The CLEAN Act would also improve the workplace conditions for thousands of NYC industrial laundry workers. Far too often these workers, especially immigrants, are exploited by laundry owners who run their facilities like sweatshops. These employers pay low wages, offer no benefits and push unrealistic quotas on their employees. “They don’t want quality. They want quantity,” says former laundry worker Patricia Ramírez. When workers are forced to sacrifice quality for speed under hazardous conditions, it creates a serious public health risk. It also puts workers at risk for injuries as they handle hundreds, even thousands, of pounds of soiled linen a day. “Sometimes (the linens) come out dirty. I didn’t get paid by production by the hour but at the same time I feel bad. The CLEAN Ac is something good for all workers,” said Ramírez. Under the CLEAN Act, industrial laundries would be required to be licensed and regulated by the city’s Department of Consumer Affairs (DCA), in a way similar to how retail Laundromats and dry cleaners are treated. 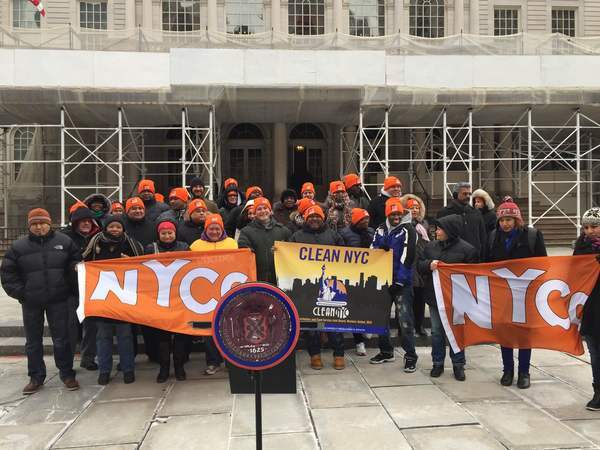 Supporters of the bill say city regulation is the best way to help ensure New York City’s dirtiest laundry operators clean up their act.